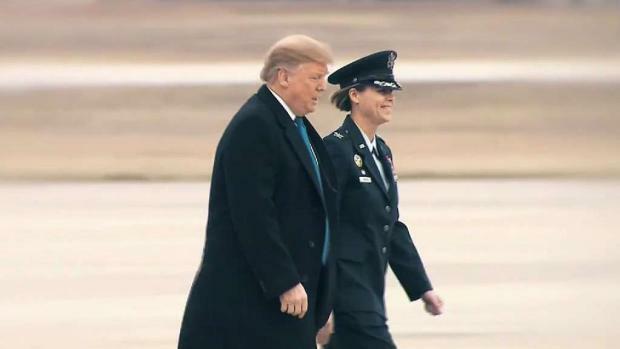 President Donald Trump said Monday that "a new day is coming in Latin America," as he sought to rally support among the largest Venezuelan community in the U.S. for opposition leader Juan Guaido. 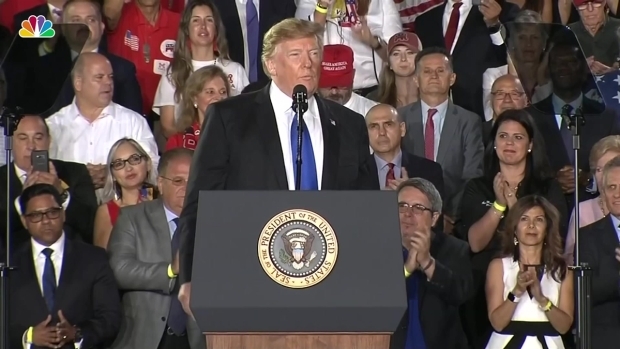 Speaking at Florida International University in Miami before large American and Venezuelan flags, Trump said the U.S. stands behind Guaido, whom the U.S. recognizes as the country's rightful president, and condemns President Nicolas Maduro's government and its socialist policies. As the monthslong political crisis stretched on, Trump delivered a public plea to Venezuela's military to support Guaido's government. The Venezuelan military could play a decisive role in the stalemate but has largely remained loyal to Maduro. Trump issued a dire warning to Venezuela's military that if they continue to stand with Maduro, "you will find no safe harbor, no easy exit and no way out. You will lose everything." The military has blocked the U.S. from moving tons of humanitarian aid airlifted in recent days to the Colombian border with Venezuela. The aid shipments have been meant in part to dramatize the hyperinflation and shortages of food and medicine that are gripping Venezuela. Trump said of Maduro, "He would rather see his people starve than give them aid." The commander in chief will address his administration's stance on the growing crisis in Venezuela. Supporters gathered outside before Trump's speech, with many expressing gratitude for his support. "The situation right now is there is no freedom or justice in Venezuela," Venezuelan-American Paola Rodriguez said. "He is supporting us in order to get the freedom that we need," said David Bavaresco. Trump was introduced by first lady Melania Trump and joined by Florida Gov. Ron DeSantis and Florida Sens. Marco Rubio and Rick Scott, who have all been outspoken in their criticism of Maduro's government. 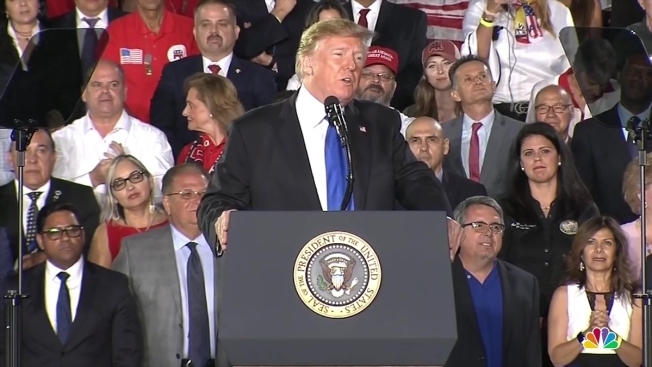 Trump also highlighted socialist governments in Cuba and Nicaragua, which also have large expatriate communities in the Miami area. 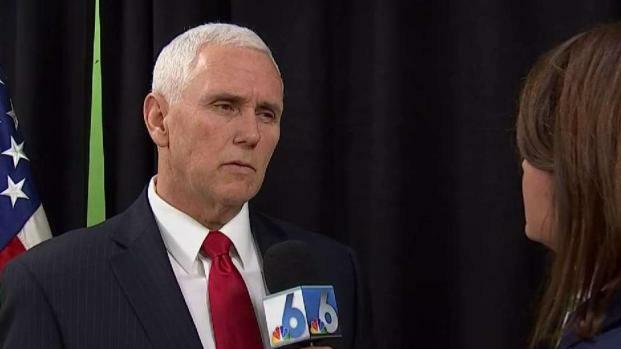 NBC 6 anchor Jackie Nespral goes one-on-one with Vice President Mike Pence about what the U.S. is doing to bring change in Venezuela.